City of Sarnia-Probationary Firefighter Recruitment | Ontario Fire Administration Inc. Important Notes from Ontario Fire Administration Inc.
Sarnia Fire Rescue Services is looking for men and women who represent the very best of their community. Situated on the shores of Lake Huron at the mouth of the St. Clair River, The City of Sarnia is noted for its breathtaking sky-blue water and beautiful waterfront parks. A border community with a population of 72,000 residents, the City of Sarnia offers a high quality of life with affordable living, excellent schools, state-of-the-art healthcare facilities, and a variety of cultural institutions, together with exceptional recreation and leisure services. The City of Sarnia offers a high quality of life with affordable living, an ever growing arts and culture scene, together with exceptional recreation and leisure services. The City of Sarnia is pleased to have created a series of three videos to showcase the natural beauty of Sarnia and the lifestyle of its residents. Learn more about Sarnia and all it has to offer through our Guides to the City. Sarnia, the place you want to: Live, Work and Play. Sarnia Fire Rescue Services consists of a team of dedicated professionals who strive to continuously improve their vibrant workforce and foster respectful interactions and strive for personal well-being. Sarnia’s fire protection services are delivered with a focus and emphasis on public safety and firefighter safety. The City of Sarnia is pleased to offer careers in firefighting. Firefighting is a demanding profession that carries considerable responsibility to protect life, property and the environment from the effects of fire and other hazards. Firefighters respond to incidents involving fire suppression, hazardous materials, high angle rescue, medical assists, water and ice rescue, and auto extrications. Firefighters are also involved with the delivery of key fire safety messaging and public education duties. Excellent listening and communication skills are essential. Satisfaction is derived from public service, working closely in a team environment, and working in a challenging profession. The firefighter’s role is not easy; it involves a high level of personal stress and requires dedication and resilience. We would like to take this opportunity to thank you for your interest in employment with the Sarnia Fire Rescue Services, and wish you success in your endeavor to become a firefighter. As a member of Sarnia Fire Rescue Services, you will be responsible for responding to emergency calls requiring rescue operations, medical aid and firefighting tactics. The profession can entail performance under conditions of physical and mental stress. Sarnia Firefighters provide service 24 hours a day, seven days a week. Our firefighters work on a rotating 24-hour shift schedule that includes weekends and holidays. Teamwork is an essential component of the profession whether on the scene, at the station and/or while providing service assistance to the public. Possess the ability to work while wearing self-contained breathing apparatus and full protective clothing (50/60 lbs.) in IDLH environments. Be extensively trained as a First Responder to provide medical assistance and administer emergency medical first aid. Maintain daily upkeep of grounds and buildings, fire apparatus, and equipment. Participate in departmental training programs, and be proficient and knowledgeable in firefighting/emergency medical response equipment, techniques and procedures. Maintain commitment to career development and actively seek out opportunities to grow and advance professionally. Perform public relations services, public education and fire prevention activities including presentations, conducting tours and attending public events to promote fire safety and awareness. 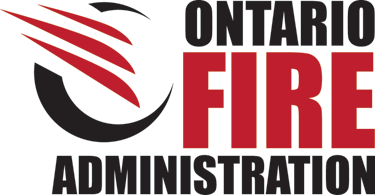 Valid Ontario Fire Administration Inc. (OFAI) Candidate Testing Service (CTS) certificate including Stage One, Two and Three. Ontario Secondary School Grade 12 Diploma or academic equivalent. Proof of a valid Class “DZ” Ontario Driver’s License (or equivalent). Five years’ experience as a firefighter in a municipal fire department with supporting Ontario Fire Marshall (OFM) documentation demonstrating successful grandfathering to the NFPA 1001 Firefighter I & II Level. Note: Applicants are responsible for ensuring their certificates are valid at all times of the recruitment process. This includes the time of application until a decision has been finalized. If you cannot produce documents when required, you will not continue in the selection process. Sarnia Fire Rescue Services is currently accepting applications for Probationary Firefighters. The application deadline is 11:59 p.m. on Sunday February 10, 2019. We do not keep a pool of applicants. Interested candidates are required to apply each time a recruitment opens. Applications are only accepted during active recruitment periods. If your application is submitted after the deadline, you will not be considered. Applicants must have completed and/or possess ALL application requirements listed prior to submitting the application. Please refer back to the Minimum Qualifications section for details. Applicants wishing to be considered for the position of probationary firefighter must submit proof of the minimum qualifications along with their resume. We will not accept applications delivered in person or by mail. Only those applicants providing proof of all minimum requirements will be considered for an interview, and only those applicants selected to move forward in the recruitment process will be contacted. If your documents are not received on time or cannot be validated, your application will not proceed. Throughout the hiring period, Human Resources will contact you using the email address provided within your application. Applicants are responsible for monitoring their email inbox and ensuring contact information within their application is current. During an active recruitment period, applicants wishing to update their application including changes to contact information, qualifications, or resume updates may do so at any time by emailing firerecruit@sarnia.ca with the Subject Title: Profile Update - [Applicant Name]. Only the most qualified applicants at each step will proceed to the next step in the selection process. Please note: Firefighter recruitments attract a high volume of applications. As a result, in order to efficiently respond to inquiries from applicants, all inquiries should be directed to firerecruit@sarnia.ca. Inquiries will be responded to at our earliest opportunity. Selected candidates will be assessed and preference given to their education, qualifications and experience as it relates to fire suppression and medical care. Selection will be based on a rating system from the interview process. Should you be successful at the interview stage, your application will move to the next stage of the recruitment process, which involves the conducting of employment reference checks. Criminal Record Search, Vulnerable Sector Screening that is acceptable to the City of Sarnia from the Police Service where you reside at the time of the interview. Authorization for the City to contact the Ministry of Transportation to obtain an abstract of the candidate’s driving history. As a condition of employment, candidates must possess an acceptable Drivers’ License abstract of 4 points or less. Comprehensive Medical Protocol confirming your physical ability to perform the duties of a Firefighter. This protocol includes: a full medical physical examination; an ECG; a Chest X-Ray; and a Pulmonary Function Test. Note: Candidates will be responsible for any expenses associated with the application process.